What says spring more than two bees getting it on a warm spring day? I love walking and sitting in the sun after a long winter. Sunshine makes an island girl like me feel alive after hibernating :) All while wearing sunscreen, of course :) I took these pictures while I was basking in the sunshine on my lunch break. It made my day and I giggled like a five-year-old kid. I must mention that I am having the best spring I have ever had health wise, so it is nice to thoroughly enjoy it this year. Maybe it is too early to say that, but I am usually dying from my allergies by this time. Let's hope it stays that way. I can always count on little things like this to make me smile. I totally feel like an earth child these days because I feel so close nature. I can't say this was me five years ago, but I am happy that each day I appreciate my surroundings and nature more. I feel lucky to live on Jeju Island. It is easy to fall in love with nature here. Even if you do not live on an island, beauty is in everything around you. No matter where you are. It is always easy to forget the little things in life, but never forgot where you are now. If you find yourself in South Korea, come to Jeju! Spring arrives here, at least, three weeks earlier than the mainland. Thanks for reading this post. 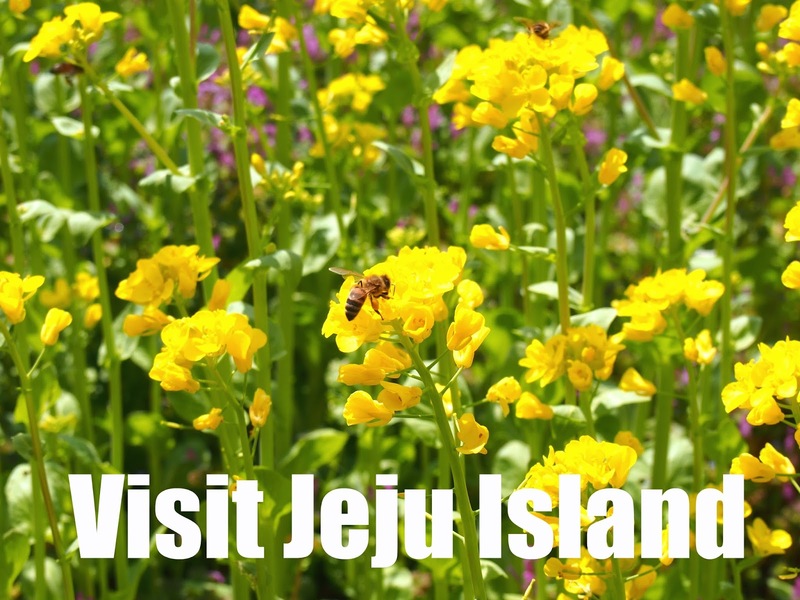 Read my other post about spring on Jeju Island, HERE.